Every generation confronts the challenge of discerning what capacities and dispositions are the most important to nurture among its young people at a given moment in time. Today, given profound economic, digital, demographic, and environmental forces at work, promoting cultural and global understanding is clearly a priority at Project Zero. We see global thinking as the capacity to understand ourselves as well as people living in contexts different to our own; to make sense of the global issues of our times and take action toward societal well-being and sustainability; and to do so effectively and ethically in today’s digital landscapes. 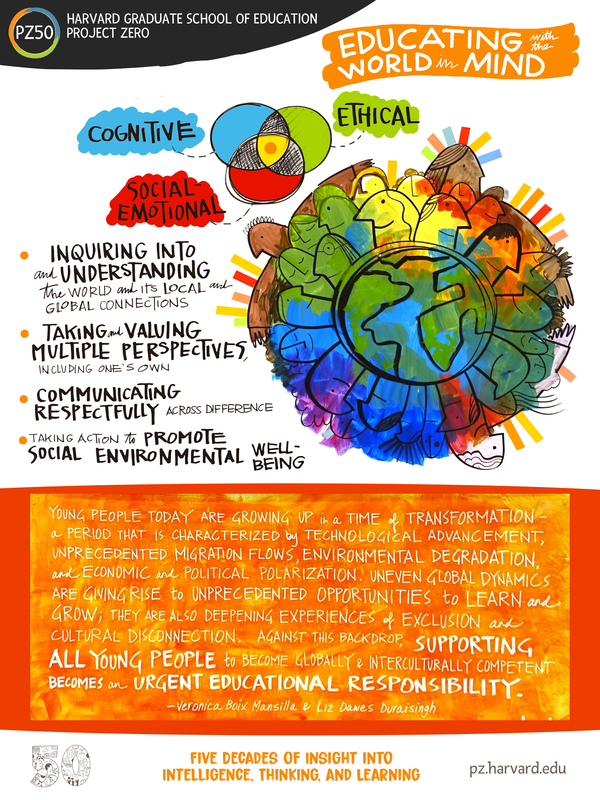 How can we prepare our youth well for the changing demands of living in a globally connected and disconnected world? How can we work deliberately and respectfully to expand opportunities for global and intercultural understanding for all children? In what ways can we leverage our capacity to reach less well-served children and youth? 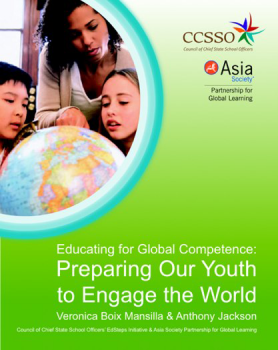 Global competence involves cognitive, socio-emotional, and ethical dimensions as students investigate the world, recognize perspectives, communicate ideas, and take action. Thoughtful cross-cultural inquiry and exchange involves examining our own perspectives, assumptions, and everyday lives as much as it does learning about those of other people. Observing the world and listening to others carefully is a key component of cross-cultural exchange in our information-rich era of social media. At this contentious and unstable moment, teaching for global competence and thoughtful cross-cultural inquiry is an urgent practical and moral necessity.